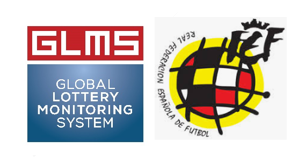 The Global Lottery Monitoring system (GLMS) and the Royal Spanish Football Federation (RFEF) concluded today an agreement with the objective to share information regarding irregular betting patters in relation to Spanish football. The two organisations will be also making their best efforts to collaborate with reference to projects/initiatives regarding the general fight against manipulations of sport competitions.GLMS President, Ludovico Calvi has stated: “Through this new partnership, GLMS will further enhance its commitment to safeguard the integrity of Spanish football, which has always inspired and led children and young people across the world to get active in football and sport in general. We strongly believe that protecting Sport Ethics means safeguarding the passion and integrity of our children and therefore the future of our society. It is this inspirational value that we - as GLMS - wish to serve and safeguard. Thanks to our “glocal” dimension and intelligence, we are confident that we can support RFEF – in addition to La Liga with which we already cooperate – to keep Spanish football clean and values-driven. RFEF Integrity and Security Director, Alfredo Lorenzo, has added: “Sports integrity is of the utmost importance for us at RFEF. We are well aware of the high-quality work of GLMS in the field of sports integrity. GLMS intelligence, network and expertise will no doubt have a significant contribution to our efforts to keep Spanish football credible and inspirational and we look forward to working with GLMS towards this direction”.